St Lucia: Joe Root, England captain, has become an instant hero on social media after his response to an alleged ‘homophobic’ taunt from Windies pacer Shannon Gabriel went viral. the day’s play exactly what was said, only saying the West Indian “might regret” the exchange. The incident took place in the afternoon session on Day 3 of the third and final Test at the Darren Sammy Stadium in St Lucia on Monday. According to reports, Gabriel was spoken to by the on-field umpires, Rod Tucker and Kumar Dharmasena, and warned about his conduct. Root was hailed as a hero on Twitter. 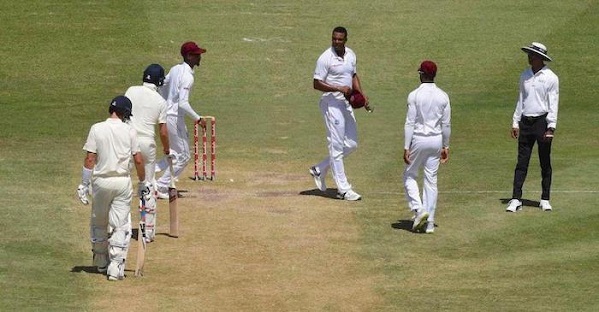 “Sometimes people say things on the field that they might regret, but they should stay on the field,” media reports quoted Root as saying at the close of play. The verbal battle seemed to have no effect on the England skipper, scoring an unbeaten 111 off 209 deliveries to give the visitors an overall lead of 448 runs with two days still to go. ensured that the captain’s steadying influence was ever-present from the moment he arrived at the crease midway through the morning session. Visionmp.Com your gateway to the central Indian state of Madhya Pradesh, established in January, 2008 with a vision to present the state in a professional and user friendly environment. Just off the starting block, the website at the moment makes available information regarding Madhya Pradesh and the state capital Bhopal.